The 2015 edition of the long established Black Hills Summer Circuit Quarter Horse Show was once again a huge drawing card for contestants vying for qualification to the AQHA World Show in November. Held in Rapid City, South Dakota, July 10-13, at the Central States Fairgrounds, the circuit drew 1,930 entries from across the nation. Class numbers held steady throughout the show that offered a three-judge format the first two days and a double judge for the final two days. The show is sponsored by the Rapid City Quarter Horse Association, Center Of The Nation Quarter Horse Association and the Black Hills Riding Club. Laurel Walker Denton, Skull Valley, Arizona; Cindy Chilton-Moore, Broken Arrow, Oklahoma; Will Knabenshue, Whitesboro, Texas; Richard Spinks, Lake Cypress, Texas; and Bruce Army from Cave Creek, Arizona, were the judges for the 2015 BHSC. Open All-Around – The Immortal – Owned And Shown By Leslie Vagneur Lange, Greeley, Colorado. Amateur All-Around – Shannon Young, Louisville, Colorado, and Zipped Royally. Novice Amateur All-Around – Danielle Hembree, Centennial, Colorado, and Gotta Cadillac Mac. Youth Showmanship 14-18 – Clair Longhenry, A Flower By KC. Senior Hunter Under Saddle/Green Hunter Under Saddle – Above Awl, Rodger Call. Amateur Select Western Pleasure/Amateur Select Western Horsemanship – Lets Be Radical, Rebecca Borders. 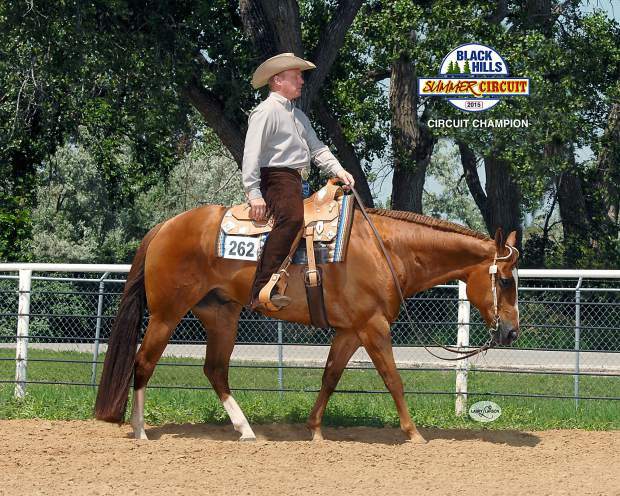 Youth Ranch Horse Pleasure – Friendly Blackburn, Lindsey Thomas.